VJ Bell has fished with clients on fishing charters since his boyhood days in Wachapreague, Virginia. He moved to Stuart, Florida in 1986 to follow his dream and fish year round. He mated on some of the area's top boats until 1992 when he became a licensed captain and has run boats based in the area ever since. 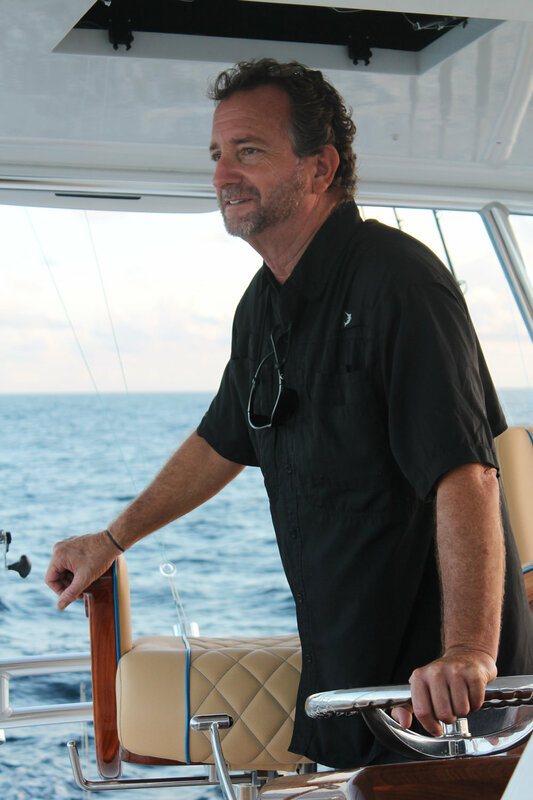 He has helped build names for businesses such as Boneshaker Charters, Challenge Sportfishing, and Sea Check Charters, and has long been considered one of the area's best options for quality sport fishing charters. He now captains the 61' custom built boat called "Unbelievable" for Stuart Big Game Fishing. VJ brings decades of experience fishing from Mexico to the Dominican Republic, from the canyons off of New England to St. Thomas and the Caribbean Islands, as well as 30 seasons on Florida's Treasure Coast. With dozens of tournament wins, multiple top Atlantic Sailfish Captain awards from the Billfish Foundation, and the recipient of In The Bite's first ever Captain of the Year Award, experience is a given. Yet, most importantly, he's a people-first kind of guy. Ensuring a safe, enjoyable, and successful day of fishing is his forte.